Epithet is after British geologist Henry Blanford (1834-1893), who worked in india. Deciduous, 2 to 2V2 ft. (60 to 75 cm). Zones 5 to 8. Apoga-mous. description: The rhizome is ascending and covered with dark scales. The short tan to dark brown, 4-in. (10-cm) stipes bear ovate, brownish black scales decreasing in numbers up into the grooved rachis. The bipinnate blade is lanceolate, ta pering to the base with the lowest pinnae about 2 in. (5 cm) long. 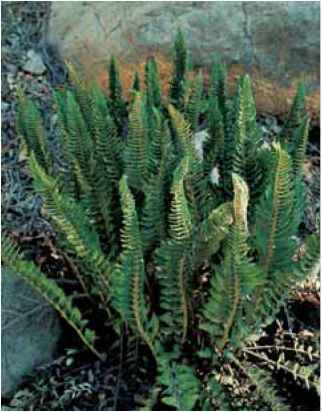 The sori are on the upper third of the frond's 20 to 30 pairs of pinnae and covered with a kidney-shaped indusium. range and habitat: This Asian native is found in China, Afghanistan, Pakistan, Tibet, India, and Kashmir in oak forests and ranges up into lower alpine elevations. 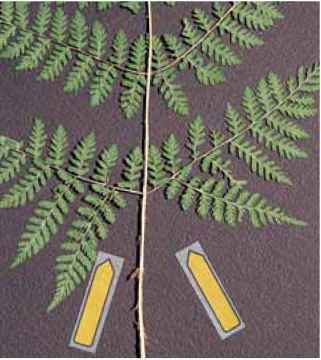 culture and comments: Blanford's wood fern is quite variable in nature and in the botanical literature. 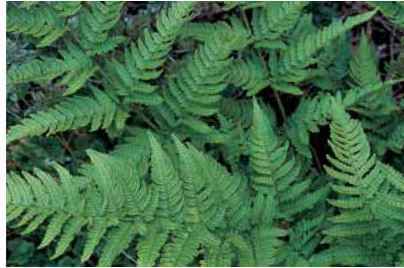 For the gardener, however, it is a handsome, rounded, flat, pale green fern with fronds becoming prostrate with the arrival of frost. Although not fussy, it is best in filtered light and friable compost. Visitors consider the Hardy Fern Foundation's planting at the Rhododendron Species Botanical Garden exceptionally attractive. Dryopteris bissetiana with its beaded appearance in the Gassner garden. Relaxed rosette of soft Dryopteris blanfordii foliage joins a rhododendron floral display for a spring show. Dryopteris xboottii in the Lighty garden. Diagnostically significant basal pinnae with the pinnule gap on Dryopteris campyloptera. 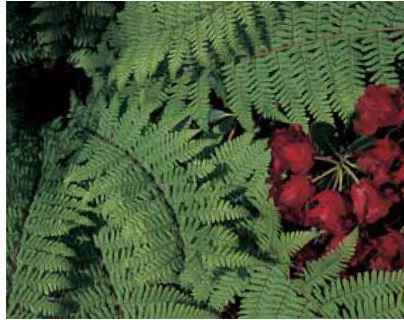 "Dryopteris kashmiriana" (from Kashmir), synonym D. cashmiriana, is a semievergreen, 2 to 3 ft. (60 to 90 cm) from the Himalayan forests. The erect rhizome supports a sturdy crown with fronds radiating in a broad horizontal pinwheel. The stipe, which is one-fourth of the frond length, is tan with contrasting ebony scales that extend well up into the rachis. The blade is lanceolate and bipinnate with 20 to 24 pairs of pinnae tapering towards the base. The sori are close to the midribs and the indusium is kidney-shaped. Christopher Fraser-Jenkins examined a frond from my garden and considers it to be within the normal variation range of D. blan-fordii. German specialists introduced this to horticulture in the 1990s as a then-undescribed species. 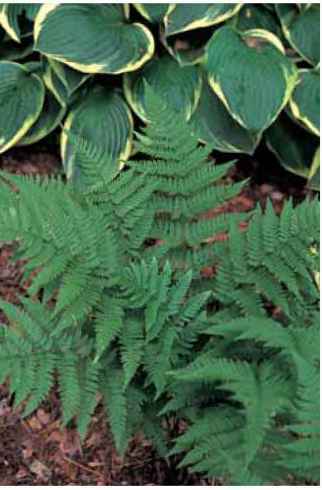 This variant accommodates readily in fern-friendly habitats in Zones 6 to 8 and is particularly attractive when the semihorizontal circular fronds are festooned over the silvery contrast of rocks or driftwood.